John Carpenter’s 1978 classic Halloween – the film which unleashed the implacable, apparently unkillable psychopath Michael Myers upon the world – is arguably the granddaddy of all slasher films. After an absence of 9 years, Myers finally returned to stalk the streets of Haddonfield, Illinois last year – and significantly, so did Jamie Lee Curtis as “final girl” Laurie Strode. Halloween is now coming to home entertainment formats. 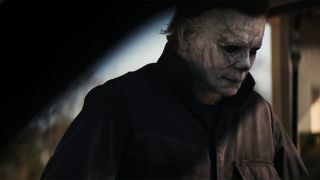 Extras include eight deleted/extended scenes and six featurettes, on subjects such as Curtis, John Carpenter’s new score, and making Michael’s mask. We have five Blu-ray copies to give away. To put your name in the hat for the chance to win one, simply answer the question below!